Kenneth Ray Angel, 59, of Indianapolis passed away on January 8, 2019. Kenny was born in Indianapolis on June 9, 1959 to Vincent & Sondra J. (Thompson) Angel. 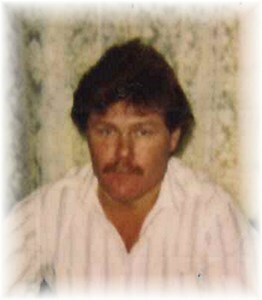 Kenny is survived by his father: Vincent Angel; siblings: Rick Angel, Marlene Mellene (Timothy); son: Wesley; nephew: Shawn Rice. Kenny was an easy going man with a kind heart the typically went his own way. Known by many to be there when you needed him and to volunteer when he knew you did. His strength was no secret and his humor could bring you a frown or a laugh without any warning. He will be remembered and missed by all that knew him. Visitation will be on Thursday, January 17, 2019 from 4 until 8 P.M. at Newcomer - Indianapolis Chapel, 925 E. Hanna Ave., IN 46227. His Funeral Service will be conducted on Friday at 10 A.M. Interment will follow at Resthaven Cemetery. To share a memory of Kenny or leave a special message for his family, please click the "Share Memories" icon above. Add your memories to the guest book of Kenneth Angel. Merle Haggard, George Jones, John Wayne, Audie Murphy, Randolph Scott, your Mom... Your heroes. I'm sure your in good company. Thanks Kenny for everything from your help to your friendship. Be strange to not have you drop by to visit us and share some stories. Kenny I love you so so much ! And I always will, I am already missing you my BROTHER YOUR SISTER Marlene , LOVE YOU MAN.